- Rep. Frank Wolf, R-Va. I read Jeffrey Lewis' FP blog post with interest because he highlights the nuclear balance between the United States and China, a topic that deserves greater attention than it has gotten. Recent years have seen growing attention to China's fielding of so-called anti-access/area denial systems, including an increasing number of accurate conventional ballistic missiles to strike airbases and other facilities in the Western Pacific and anti-ship ballistic missiles to target mobile power projection forces like carrier strike groups. 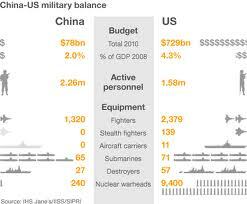 To date, however, the nuclear dimension of Chinese military modernization has received less attention. Still, in recent months, China's military has reportedly tested a new intercontinental ballistic missile (ICBM), the DF-41, which is reportedly equipped with multiple, independently-targeted re-entry vehicles, or MIRVs, as well as its new JL-2 submarine-launched ballistic missile (SLBM). China's nuclear buildup remains unconstrained by strategic arms limitation agreements, such as the Russo-American New START Treaty, as well as arms control affecting ballistic and cruise missiles, such as the Intermediate-Range Nuclear Forces (INF) Treaty. In Lewis' view, the path to stability is predicated on the United States and China accepting mutual nuclear vulnerability. Indeed, his discussion of the Sino-American nuclear balance takes mutual vulnerability as its starting point. He goes on to argue that "Our refusal to recognize that vulnerability is simply a fact of life essentially blocks a productive dialogue with Chinese leaders." There is, however, plenty of room to question whether Chinese political or military leaders share our perspective. Indeed, official publications of the People's Liberation Army such as the Science of Second Artillery Campaigns show that the Chinese military views nuclear weapons much differently than American strategic thinkers. Other books, such as Coercive Deterrence Warfare, portray launching missiles in close proximity to enemy forces as a form of deterrence. In other words, official literature espouses some very different -- and potentially very dangerous -- notions. Writing in the latest issue of The Journal of Strategic Studies (which, in the interest of full disclosure, I edit) Tom Christensen of Princeton University argues that Chinese leaders believe that they are only now acquiring a secure second-strike capability. As a result, he raises the possibility that China will become bolder as the quantity and quality of its nuclear force increases. China's nuclear modernization program may thus have greater consequences for China's behavior than is commonly believed. On the other side, as Dana Priest recently described in the Washington Post, the United States has an aging nuclear arsenal. The newest weapon in the U.S. nuclear force was designed and deployed in 1991. U.S. nuclear weapons, all of which are at least 20 years old, were designed for an expected operational life of 10-15 years. You can count the number of U.S. weapons laboratory employees who have actually designed a nuclear weapon on one hand -- and the number will only get smaller over time. The Obama administration is committed to the elimination of nuclear weapons and has reportedly been conducting internal studies envisioning massive cuts in the U.S. nuclear arsenal. A number of policy makers with whom I've spoken in recent weeks tell me that if Obama is re-elected, he will seek to slash unilaterally the size of the U.S. nuclear stockpile. Such a move could grant China nuclear parity with the United States, or at least put it in reach. Such a move would give China greater nuclear leverage not through an expensive buildup on their side, but through disarmament on ours. Although there is much in Jeffrey Lewis' piece with which I disagree, I do believe that the United States and China should enter into more serious discussions about nuclear weapons. Indeed, I believe that the United States should refuse to enter into future nuclear arms limitation talks without the participation of the Chinese. A failure to do so could jeopardize the nuclear balance that has underpinned American and allied security since the end of World War II.